This summer ArtsinStark and Visit Canton are excited to kickoff the Canton Music Block; a collaborative of music venues, art galleries, and restaurants committed to offering live music of all genres in the heart of the Canton Arts District. 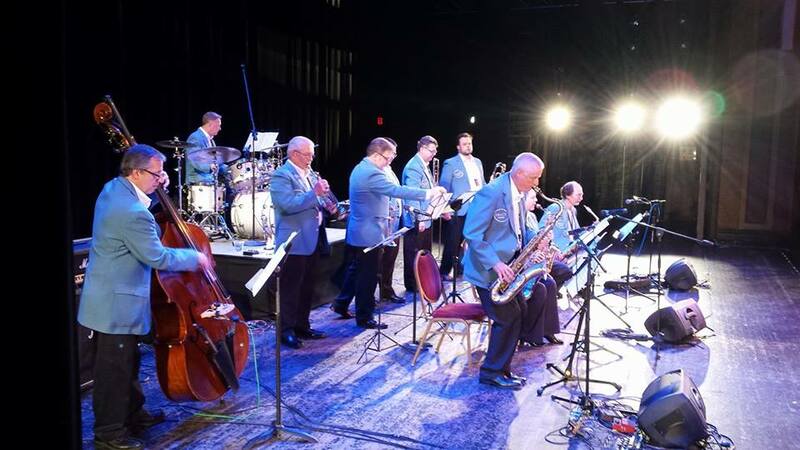 Mark your calendar for June 15 for Music Block Night Out featuring the Savoy Big Band live on 4th Street on the Kempthorn Motors stage! Bring your lawn chair, put on your dancing shoes, and get ready for a fun night out. Grab dinner at your favorite spot before the show at surrounding restaurants like Lucca, Fronimos, or Amvets, or bring take-out with you to the concert. While here explore local retail shops like Avenue Arts and live music at Georges, Buzzbin, or Cultured Coffee. The Savoy Big Band is a 13 piece band, reminiscent of the smaller big bands of the 1920s and 1930s. The Band was formed by Bob Feldbush and the late Jack Halkides in 2011 to recreate and preserve the sounds of the Chick Webb Band that played at the Savoy Night Cub in New York City from 1931 to 1939. The stage is set for this musical extravaganza at 4th Street NW and Cleveland Ave and offers free admission Friday, June 15th from 7pm to 9pm. Street parking is free and abundant in downtown. For more information on this and all the other events, find us on facebook at Canton Music Block or online at downtowncanton.com Music Block Night Out is brought to you by Visit Canton and ArtsinStark.